Personal Effects by visual artist Alan Counihan was based on the institutional archives and the belongings of dead or discharged patients from Grangegorman (St. Brendan’s) Psychiatric Hospital, Dublin. This research process took form as a site-specific installation in the old hospital with further Dublin installations in Culture Box, Temple Bar and in Axis, Ballymun. The retired Director of Nursing at St. Brendan’s Psychiatric Hospital and the retired Chaplain, Fr. Piaras O’Dúill, alongside Brian Donnelly of the National Archives were invaluable collaborators in the project’s research phase. Ronan Doyle, Communications Officer with the Grangegorman Development Authority, was active in securing a site-specific location for the first installation of the work. Mark O’Brien and Niamh Ní Chonchubhair of Axis, Ballymun, provided the recording studio and sound engineer at no cost while actors Pat McGrath, Nicola Moore, Aideen McBride, Hannah Walsh and Réaltín Byrne gave freely of their time for the soundtrack recordings. The team at Axis, Ballymun also provided the theatre and financial support for the final installation of 2014. Alé Mercado designed the project website on a pro bono basis. 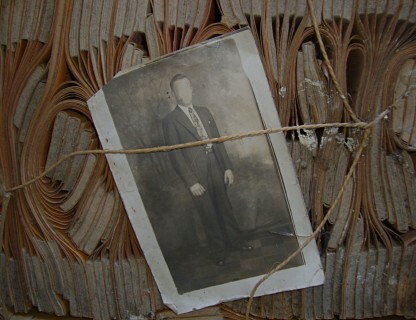 This installation is a work of activism rooted in Irish social history and of institutional care for the inconvenient, the vulnerable, and those deemed mentally ill, especially during the course of the twentieth century. In recent years, most of the old asylums and mental hospitals have closed or are in the process of closure. Care for those who seek it, or are deemed to need it, will now be provided on a model of community-based care. However, meaningful transformation of psychiatric services must be accompanied by a transformation of social and political attitudes to mental illness and difference. This work seeks to assist such transformation. From 2012 to 2014, with permission from the Health Service Executive and guidance from the National Archives, a research process was conducted based on hospital records, correspondence and personal belongings which were retrieved in 2010 by concerned volunteers from the old hospital’s attics. A broader research process based on historical documentation and interviews was also carried out over this time on the history of institutional care for those diagnosed with mental illness in Ireland. 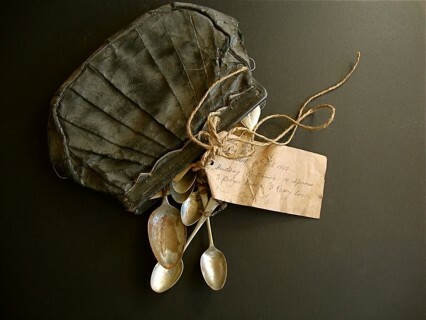 The personal belongings of dead or discharged patients which were never reclaimed from Grangegorman dated back over a century. On admission, a patient’s belongings were taken away and only returned if the person was deemed to have returned to a condition of normality from which they were perceived to have strayed. Some contained an entire life history with birth certificates, travel visas, letters, photographs of family and loved ones, cutlery, cards, mirrors, combs, false teeth, prayer books and diaries. Given that my practice over the last 25 years has mostly comprised the creation of small studio-based works born of personal urgencies or large-scale public works fashioned from stone and metal in response to the histories of wild landscapes, public spaces or the needs of communities (www.alancounihan.net), a new means of expression had to be developed in order to reveal the human histories that lay within the archival records of the institution, the personal correspondence and the belongings of dead patients. Combining the media of both sculpture and theatre, the installation eventually devised was presented in darkness. From the ceiling of a blacked-out room a large number of up-ended handbags and suitcases were hung, the contents of each gut-strung below, so as to seem as if falling to the floor. The only light source within the space came from low voltage LEDs set within each up-ended bag, illuminating the suspended contents below. A looped soundtrack allowed the recorded voices of actors to inhabit the darkness as they read from correspondence found within the handbags and suitcases, from case notes and hospital management records. In another darkened room, a series of images was projected from behind sets of hospital ward screens. The images were of photographs and memorabilia found within the handbags. 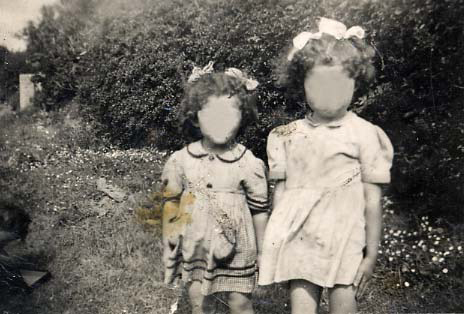 The facial features of all those portrayed were removed not only to protect identities but to express the process of their erasure within the institutional system. On an adjacent wall within the darkened space were hung some of the hundreds of rosary beads found among the belongings. 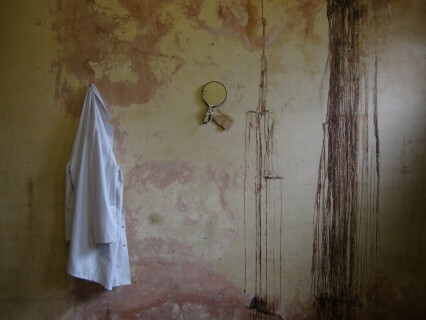 On another wall, a series of images taken within the old hospital were displayed in subdued light. In 2014, outputs from the research process begun in 2012 took form as a site-specific installation within the old hospital complex at Grangegorman, Dublin as part of Phizzfest. Two further installations were realised at Culture Box, Temple Bar, Dublin, and at Axis Arts and Community Centre in Ballymun, Dublin. A radio documentary based on the research process is presently in production for RTE Radio’s Documentary on One series to be broadcast in early summer 2015. A documentary publication based on the project’s research process and the associated installations is currently in development for Lilliput Press. Installation detail. The Long Stores, Grangegorman Hospital, Dublin. 2014. Personal Effects had its first site-specific exhibition in the Long Stores behind the Clocktower of the main building of old Grangegorman Psychiatric Hospital in May 2014. In the context of bringing back to life some of the personal histories discovered within the old asylum this was a most appropriate location, close to the annex from which the belongings were retrieved in 2010. The Long Stores was once the central depot for all clothing and foodstuffs for the hospital. In disuse for many years, it still bears evidence of its purpose: labels marking shelves that held underclothing, dressing gowns and all the paraphernalia of daily institutional life on the walls. This evidence, along with the sense of neglect in the damp spaces of the building, served to heighten the site-specific context of the work. Lamda C Print on Dibond. 90cm x 60cm. 2013. An image of one of the handbags belonging to a deceased patient in Grangegorman which formed part of the Personal Effects installation. The installation was created in response not only to the possessions discovered within the hospital complex but also to their possessors who were in turn possessed by the institution for the duration of their care. It is a goal of the overall process to allow an imagination of life – both within and without the institutions – as “others” might have experienced it. This digitally altered image was taken within an abandoned ward of the old hospital during the research and development phase of the project. Digitally manipulated image included as a projection onto hospital ward screens as part of the Personal Effects installations. The original image was found within an abandoned handbag in the attics of the institution. Within the darkened rooms where the installations took place a looped series of images was projected onto the ward screens. Most of the images were of old family photographs, press cuttings, hospital documents and prayer cards. Personal Effects: a history of possession, installation detail. The Long Stores, Grangegorman Hospital, Dublin. 2014. 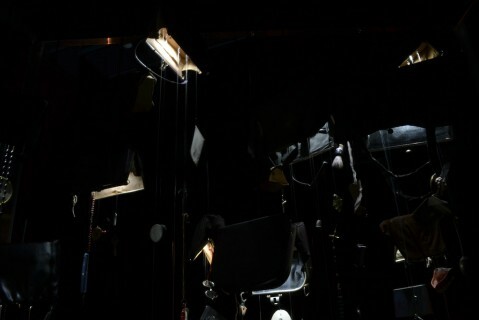 From the ceiling of a darkened room a large number of upended handbags and suitcases are hanging, the contents of each container suspended as though falling to the floor. The recorded voices of actors read from correspondence found within the containers, from case notes and from hospital management records. The Theatre, Axis Ballymun, Dublin. 2014. The installation at Axis Ballymun was perhaps the most effective of all allowing as it did for more controlled use of lighting and sound. In the background can be seen a curtain wall of suspended rosary beads of which at least one pair was found in every single handbag. The hospital ward screens with their projected images are to the right and the cage that holds the suspended handbags to the left. The most effective evaluation of the project has been the remarkable contributions to the Visitors’ Book at the various installations. These were very moving and reflect the cathartic effect of the work in eliciting the personal or familial histories of the audience. A subjective evaluation of this process acknowledges the success of the work and of the broad audience reached through national press and radio. It also acknowledges a most rewarding process in artistic terms. Engagement with the troubled privacies of other lives was certainly difficult but the greatest challenge of all lay in sourcing financial support for the project which proved a constant and exhausting frustration. Three grant proposals were unsuccessful and it was only some days before the launch of the first installation in Grangegorman that material costs were secured from the Health Service Executive. The Personal Effects project is ongoing and other historic asylum and hospital contexts are now being explored. However, despite the enthusiastic assistance of those providing services and a national audience eager to engage with this work, there can be no further progress until financial support for the process is secured. Is the work valued? Time will tell. More objective evaluations can be gleaned from the project’s reviews and opinion pieces available on the project’s website. The outcomes of the project are currently being documented through a dedicated website and a project Facebook page. The project will be further documented through a radio documentary for national broadcast and a publication. Personal Effects: A short film, narrated by the artist, on the project and process in development. PERSONAL EFFECTS: a history of possession: This short video was projected onto hospital ward screens within a darkened space as part of the installations. It is here accompanied by a sample of the installation soundtrack. The images were drawn from the belongings of dead patients. The project was extensively reviewed in the national press including the Irish Independent, Sunday Business Post, the Irish Daily Mail (by Dermot Bolger) and Journal.ie. The artist, with writer Dermot Bolger, discussed the project on RTE’s Today with Sean O’Rourke programme which can be accessed here (Grangegorman segment). The Health Service Executive provided financial support for fabrication, transport, print and material costs of the site-specific installation at Grangegorman. 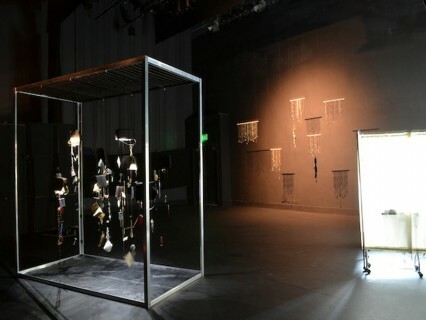 A Fund:it campaign supported the transport and material costs for the Culture Box installation. Material and transport costs for the installation at Axis, Ballymun was provided by Axis, Ballymun. A Tyrone Guthrie Bursary Award from Kilkenny County Council assisted the development of the installations. All research and associated travel costs were met by the artist.